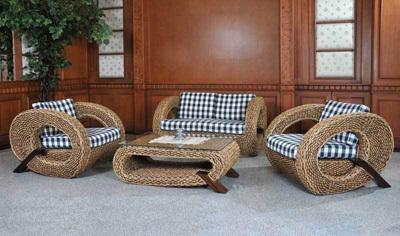 Laura Wicker Corner Set is an ideal addition to your living room furniture. 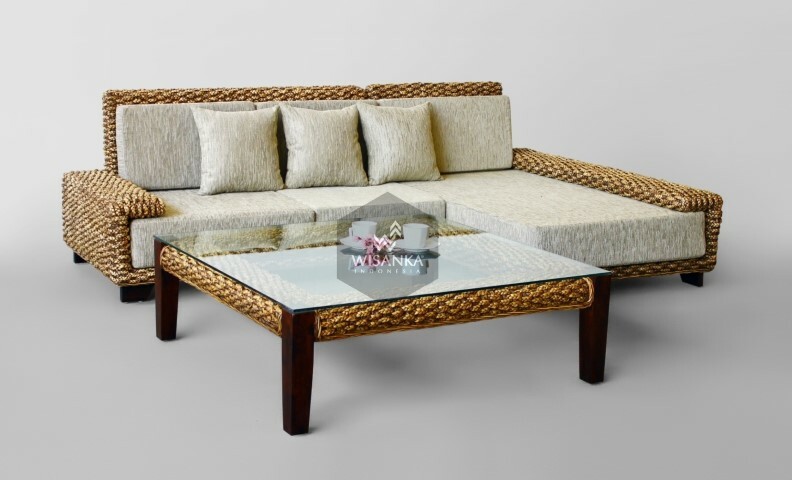 This stylish corner set includes 1 square coffee table and corner sofa. 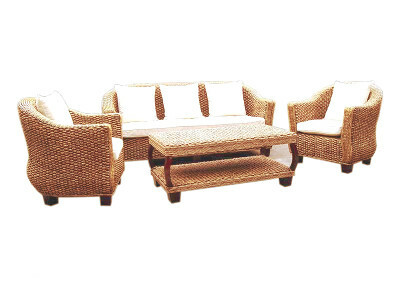 Aside from providing comfortable lounging, the wicker sofa set includes beige cushions that provide a subtle contrast to the brown solid wood frame inserted natural rattan and water hyacinth. Table with removable tempered glass adds a sophisticated touch and allows you to places drinks, meals and other accessories on top. And you can clean it easily with just a wipe when there is water strain on it.